How to make a perfect Gin and Tonic. Jump to the Gin and Tonic Cocktail Recipe or read on to see our tips for making it. The key to a great gin and tonic recipe is to balance the bitterness of tonic water against the gin. Never tasting one too much more than the other. 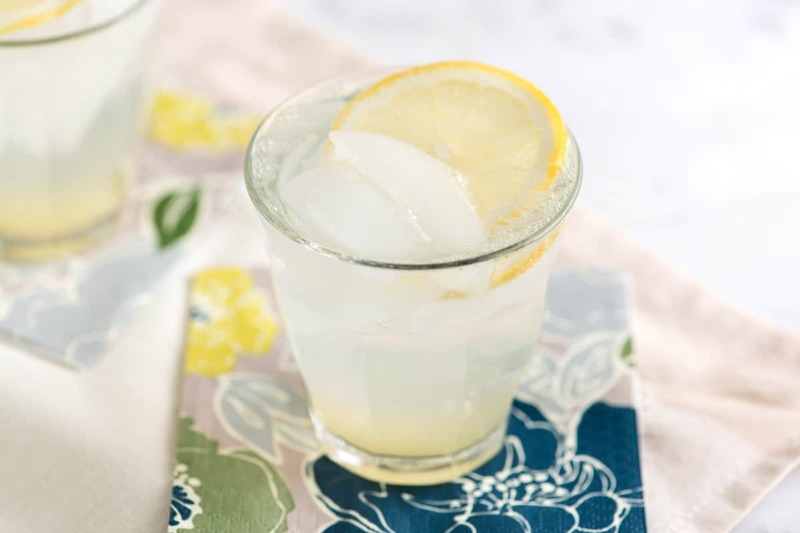 We share our favorite recipe and tips so you can make a balanced, refreshing cocktail at home. YOU MAY ALSO LIKE: You can’t go wrong with this classic gin fizz cocktail recipe. It’s uncomplicated, fresh, light, and timeless. 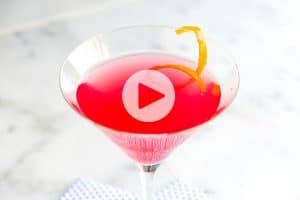 Jump to the Gin Fizz Cocktail Recipe. So we already know that there’s gin, tonic water and ice, but how much? What kind of gin and don’t forget the lime, right? What Kind of Gin Should I Use? Since we’re only talking gin, tonic water, ice and lime, ingredients really matter, here. There’s no where to hide. Choose something mid- to high-shelf. A London dry gin (such as Beefeater), Plymouth or Bombay work well. London dry gins will be more straightforward in flavor while Plymouth gin will be a bit more aromatic. We’ve also used Bombay Sapphire and loved it, but we really enjoy Sapphire’s extra spiciness. Your best bet is to buy tonic water in the smaller, single-serving bottles. The tonic will be fresh and you won’t lose any fizz. 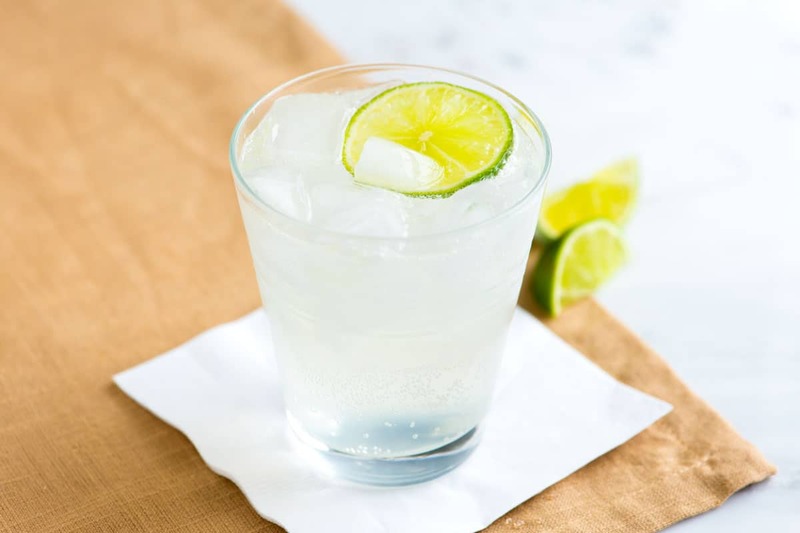 In our research, many are partial to Schweppes, but we can’t say we have noticed a difference enough to specify on that one. In our opinion, a gin and tonic should be crisp and refreshing, never boozy or heavy. After doing some research, ratios can vary. Some enjoy equal parts gin to tonic, others reduce the gin and double the tonic. For us, we liked it right in the middle, which kept the drink light and crisp, but still aromatic from the gin. 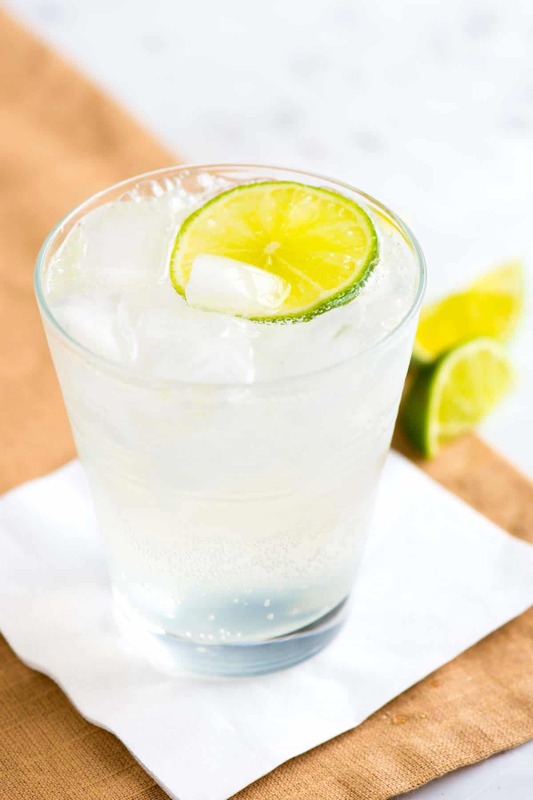 A classic gin and tonic recipe needs fresh lime. It should be refreshing and never flat on flavor. Fresh lime helps with this and brightens everything up. YOU MAY ALSO LIKE: Gin, rosemary and fresh lemon team up to make the classic gin fizz even better. 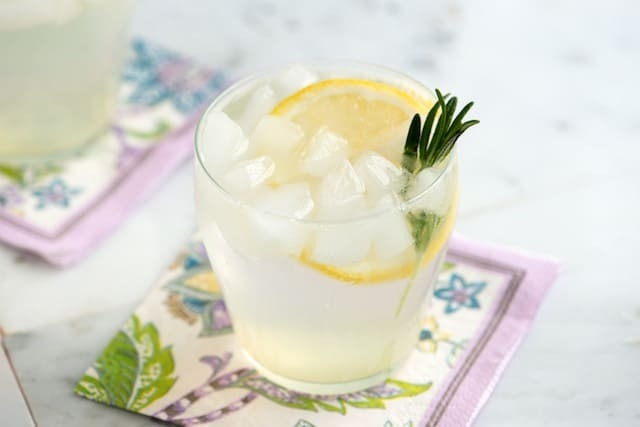 If you like the classic, you’ll love this Rosemary Gin Fizz Cocktail. The key to a great gin and tonic recipe is to balance the bitterness of tonic water against the gin. Never tasting one too much more than the other. We share our favorite recipe and tips so you can make a balanced, refreshing cocktail. A London dry gin (such as Beefeater), Plymouth or Bombay work well. London dry gins will be more straightforward in flavor while Plymouth gin will be a bit more aromatic. We’ve also used Bombay Sapphire and loved it, but we really enjoy Sapphire’s extra spiciness. Fill a high ball glass with ice. Add gin and lime juice. Then top with tonic water. Garnish with lime wedge or slice. Adjust the amount of gin called for in our recipe based on how strong you enjoy your cocktails. If you really want to up your game, make homemade tonic ice cubes. This way as they melt in your drink, it won’t dilute with water. I recently tried Cotswolds Gin with a Fever Tonic garnished with a slice of pink grapefruit and some bay leaves.. Just Wonderful!! 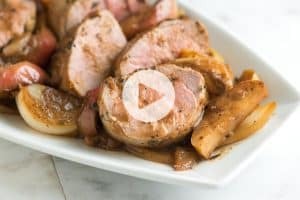 I have never used frozen tonic cubes but looks like that is what I should be doing. I love Hendricks, but Sapphire will definitely do in a pinch. Cheers! Enjoying one as we speak. A tall glass full of ice, the juice from half a lime, Fever Tree or Q tonic and Tanqueray Ten. 4 juniper berries, 1/4 wedge of lime, 5 ice cubes, 70ml Bombay Sapphire, 200ml Nordic blue tonic. Absolute favourite. And it really IS a fab shade of blue! 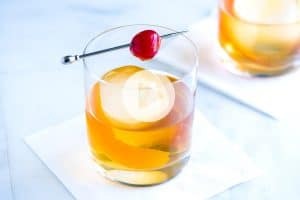 A classic cocktail that never goes out of style – a fave with us! Have you tried making tonic ice cubes – a must if you don’t want diluted drinks! Gin and Tonics are my favorite! Fresh lime is a MUST – we’ve done bottled lime juice in place of fresh (we forgot to buy a lime) and it’s just not the same. A classic glass of tipple. Personally I prefer Hendricks gin, but you can’t go wrong with a bit of Bombay Sapphire. Almost perfect. Make the ice cubes with the tonic and THEN you have perfection.